A vibrant, detailed full color art print made with Epson lightfast inks in my studio on lush, velvet paper. 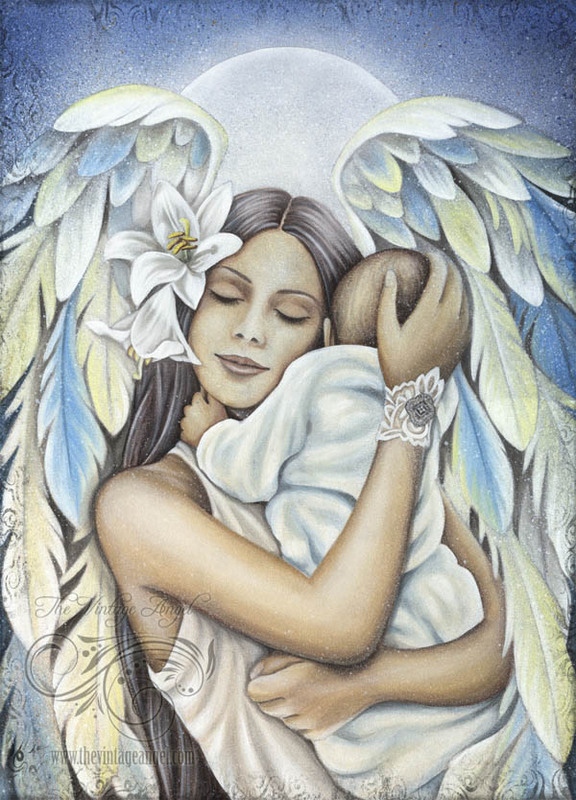 This angel print is made from my original acrylic on canvas and features a serene angel holding a baby in shades of pale blue with lots of white and pale yellow highlights. Image is 12.25" x 17" and paper is 13" x 19". The artist will hand sign your print in the white border before shipping. Print ships flat on backing board in a clear sleeve.